With Hot surf 69 you enter a world of superbly priced Tough Tech. 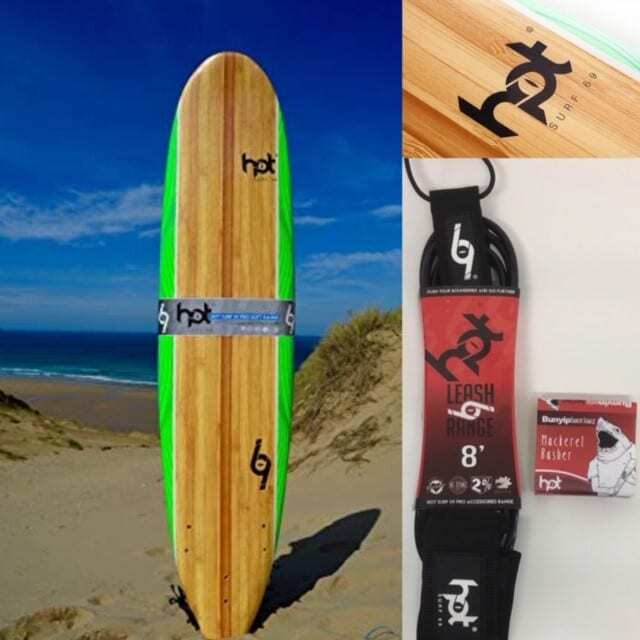 The Hot Surf 69 surfboard range has been designed by surfers for surfers. They encapsulate the best parts from all boards and the aim is to find a “one board fits all” scenario. A board that has well distributed volume for the smaller high tide sessions but also with Rockers and tail designs that encourage performance surfing when the waves get steeper and more hollow. All of our boards are Epoxy. This means they are tough and although all boards can break in use, these are less likely to do so and can withstand the travel to and from the beach. There is a marked difference in the weight aswell so the all-round surf experience is far easier throughout. Hot surf 69 Body boards are definite “Re-stoke” boards. They have all the attributes that suggest that they are ready for years of enjoyment. EPS cores and HDPE Slick bottoms make sure that the boards have the desired Flex to do serious manoeuvres but also enough memory throughout the core to help the board return to its shape after the torque of going through a sharp turn on the wave face. The volume and shape of the Hot surf 69 Body boards ensures that you catch and ride each wave to your full expectation. The inflateable SUP is the only way to go. For surfing small waves, touring about, or even racing they are unbeatable for ease of use. 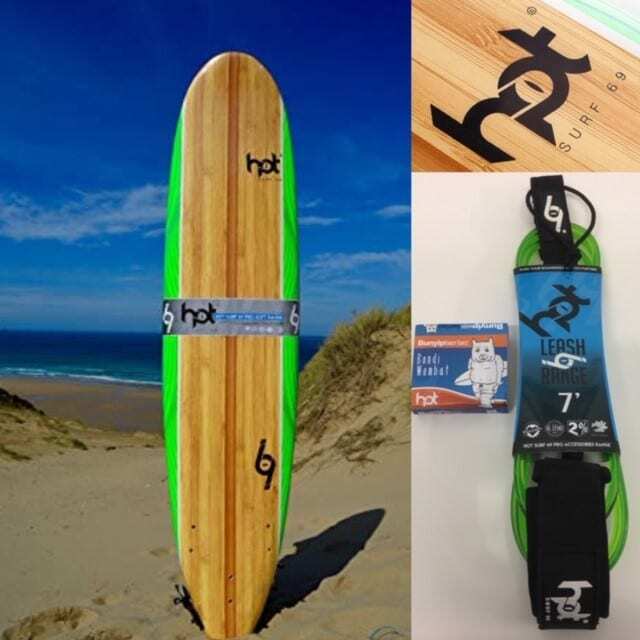 Hot Surf 69 Stand up paddleboards are really tough and once inflated to optimum pressure they act and feel like a hardboard, this all comes from the technicalities in construction. In short; 3 layered, PVC coated and re-inforced drop stitch fabric with EVA traction pads and UV resistant materials. Basically a super tough construction utilising a drop stitch interior technology. Drop stitch is a way of constructing these boards so that the presuure inside is equall and doesn’t concentrate at one end etc. Inside the board there are small strands attaching the deck to the base, this causes the dimples on the outside. 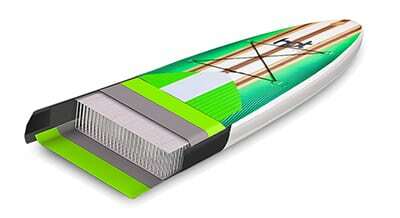 These are the most competitively priced iSUP’s on the market using this technology. iSUP’s that don’t use the drop stitch method are essentially just blow up shapes and can bend too much in use. Each iSUP from Hot surf 69 comes as a package for easy travel and transit in a backpack. In the pack you will find your board, your 3 piece extendable paddle, your easy snap in fin, your leg leash, your pump and hose and a repair kit. Its all there and you can carry it to the beach on your bike or take it away on an Flight to somewhere tropical. First time surfing? Improving? Need a family board that you can all use? A Hot surf 69 Softboard is the answer. In fantastic designs and shapes these boards are the best value on the market for sure. A strong EPS construction with wooden stringers protecting the core these boards are ideal for all. The deck has a non waxing grippy deck skin to save on mess and money, the HDPE slick makes for a fast smooth track across the water and the Tri fin “thruster” fin set up means that you can progress and steer your surfboard with ease as opposed to a singe fin. Hot surf 69 softboards come in sizes from 5’10 to 8’0” so everyone can try one and kids just love them. Surf schools use them and surf stores rent them. They are ace! !